Traffic fines is one of the thing which no one likes to pay. Even in Dubai, Abu Dhabi or Sharjah or anywhere in UAE as a transport user some point of time we may need to pay the traffic fines. Even if we are not wishing for that too. 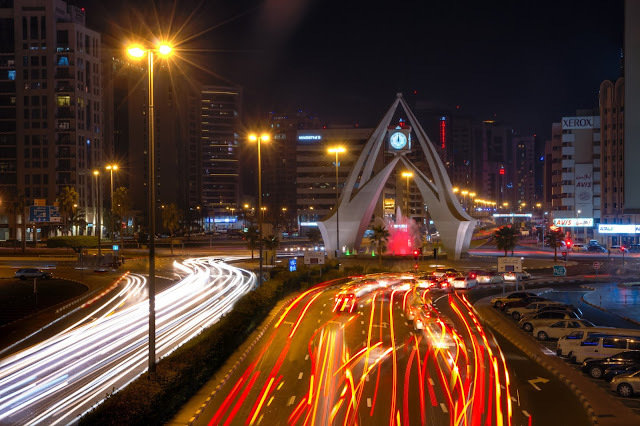 There are various type of traffic fines in UAE. Various systems are in place check traffic fines in Dubai. It helps you to pay traffic fine online using debit or credit cards. Also you can pay traffic fines on the kiosks in the various shopping malls or during vehicle registration renewal. 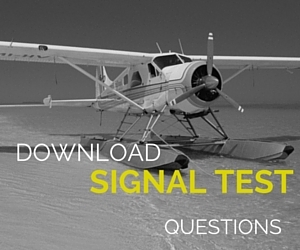 These systems will show up the black points you have committed for that traffic violation. Following types we can check in traffic police system. 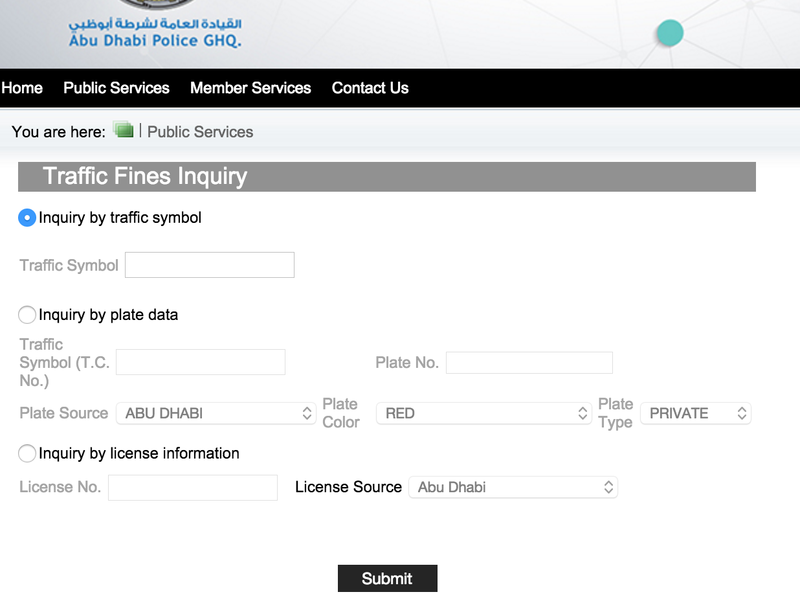 Dubaipolice traffic fine enquiry can be done by selecting the fines source as Dubai Police in the drop down. Traffic fine search will list out all the fines you have involved. 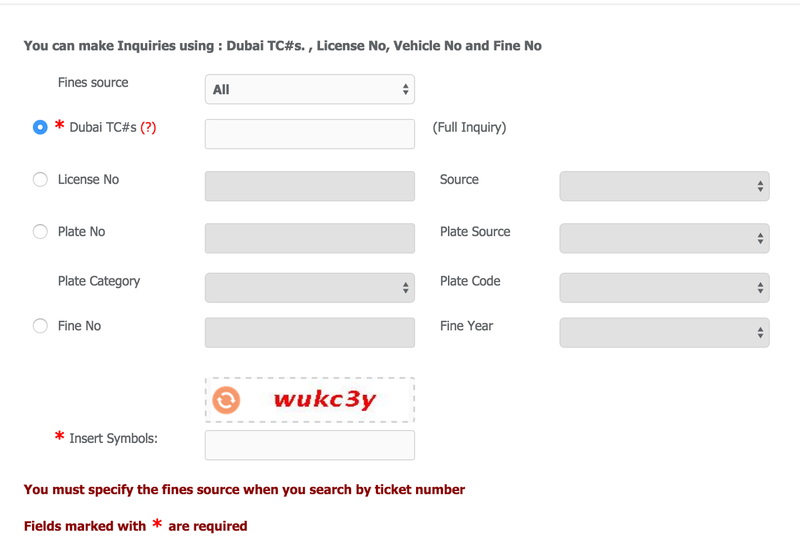 Here also you can check using the same criteria of rta traffic fine system. 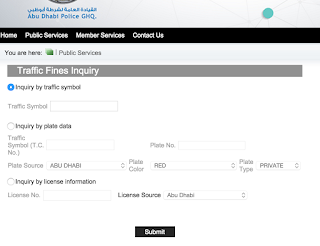 Below screen shot shows the system how it works you can make dubai police traffic fine enquiry by number plate. 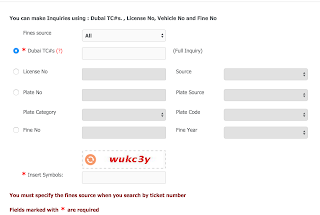 Note: This system you can utilize when you buying a used car in UAE to check whether the vehicle is involved in any accident or not, it will list all fine for the last one year. Below lists various traffic fine and the black points in the UAE traffic system it includes RTA traffic fine and Dubai police fine.